I have already announced the winners of my SM GTW and Firmoo give-aways last week. If you weren't lucky enough to win any of those contests then not to worry, here's another chance to get your hands on awesome prizes! For part 3 of my Big Holiday Give-away, I am partnering with VITO Studio, the first read-and-shop platform in the Philippines. They carry a series of capsule collections from the country’s most prolific and forward-thinking designers. So what's up for grabs? 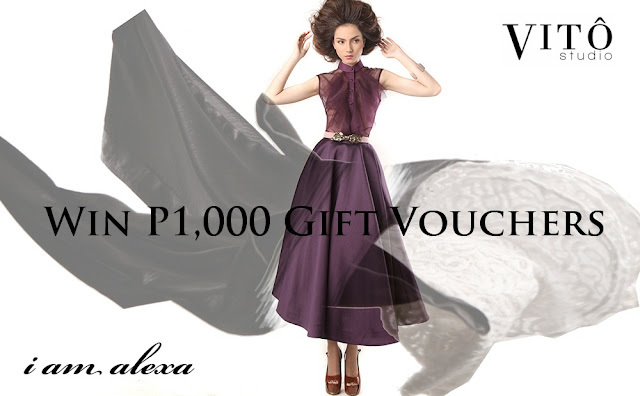 Two winners will each receive P1,000 gift vouchers to shop on VITO Studio. If you've been eyeing that Ivarluski Aseron Clutch, a TAN-GAN Knitted Skirt or a gorgeous Jun Escario masterpiece, then join my give-away now!